Local band RIFT releasing a live recording via bandcamp! | Badass Concert | Heavy Metal Music News | So METAL, we piss RUST! Home News Local band RIFT releasing a live recording via bandcamp! I’m totally not a live album guy. I love going to shows, and I love listening to records, but I think the two should not cross. Especially when it comes to metal. Now there’s an exception to that. Rift’s Live 2 record is up for streaming on bandcamp here. Recorded at the soon-to-be closed Duggan’s Pub, this is a great recording of live local metal. It wasn’t captured with a cell phone or a built-in video camera mic, and I imagine the lack of those pesky vocal mics helped by keeping a bunch of crowd and room noise out of the recording. Live 2 marks the third release from the Lincoln-based instrumental metal act. They have another live release titled Live 1 (how appropriate) and a studio recording called Rift Volume 1. The band is running a special on all the work on their bandcamp, all albums are up for free streaming, or high quality downloads for just $2 an album. Rift is a drum and guitar two-piece band. The sound of Live 2 is rounded out with a very well-used octave pedal setup. Gatdam, I went back and forth for about half the record trying to figure out if it was a bass or an octaved-down guitar. In fact, it wasn’t until the galloping riff in “Thanatos” that I really figured it out. It doesn’t really matter how that pitched low frequency information got in the left channel, though. The music is good. Rift seems to favor the term “doom” when it comes to describing their type of metal, and yes, like doom metal, Rift’s metal is slow and brooding a lot of the time. But when I think of doom, I think of something SKULL-CRUSHINGLY heavy. This record is not skull-crushingly heavy, but its riffs are catchy, and the songs are well put-together. The band also plays well! Everything is tight and in tune. There are a few moments that you can tell they are not playing to a click, but Live 2 dances the line between a studio and a live recording with style. The audio quality is good, which makes this an outlier for live albums for me, and the slight lumpiness lets a little mojo shine through that can get lost in a super-edited studio project. 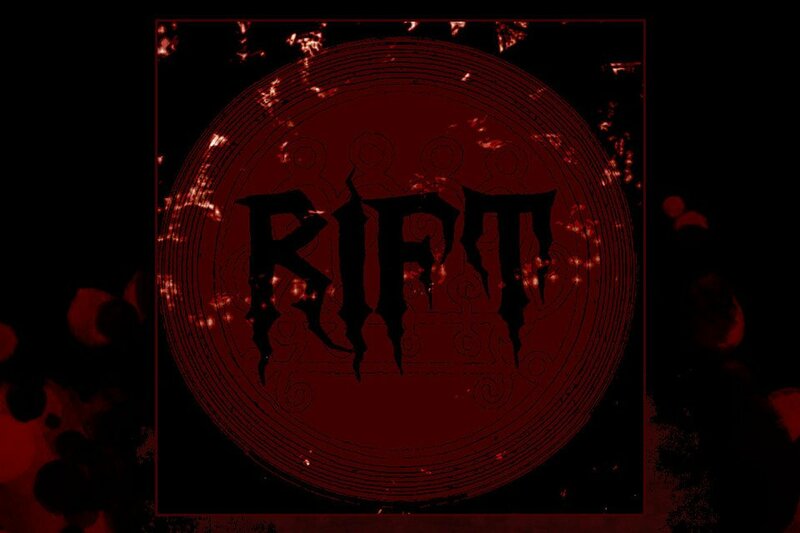 I think Rift has the instrumental metal market cornered in Nebraska, and they do it well. Go check it out, and then throw them a couple “gold doubloons” and get it on your iPod. …so get out and pay some cover charges f*ckers!!! Previous articleFaded Black and A Different Breed are going to have a busy weekend!